You’ll have to bring some muscle to shake up this cocktail, but it’s well worth it! I have yet to find someone who doesn’t love this drink. The ginger, lemon and Amaretto combine to offer just the right amount of lemony zing, warm gingery spice and nutty Amaretto. The froth on top balances out the sour flavours providing an elegant creamy finish. There is no added sugar or syrup—just a few simple ingredients are required. Unless you are able to find a top-notch restaurant in a major urban centre, it can be hard to find a good quality cocktails when eating out. So many places load up on sugary syrups that seem designed to try to hide the alcohol flavours rather than accent them. All the more reason to expand your cocktail repertoire at home where you can control everything going into your drink. 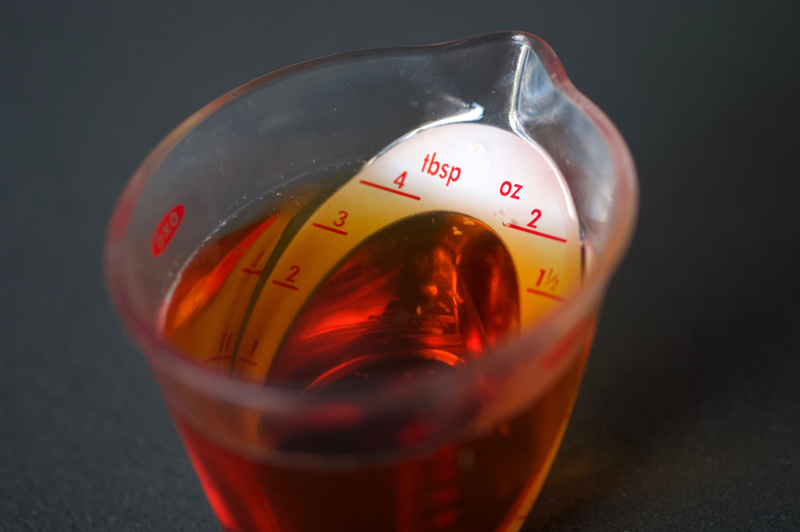 …don’t forget to add a splash or two of Angostura bitters. I did a side-by-side comparison with and without the bitters, and was really surprised how much better the drink tasted with the Angostura. It provides an extra depth and seems to bring out the best in the Amaretto. 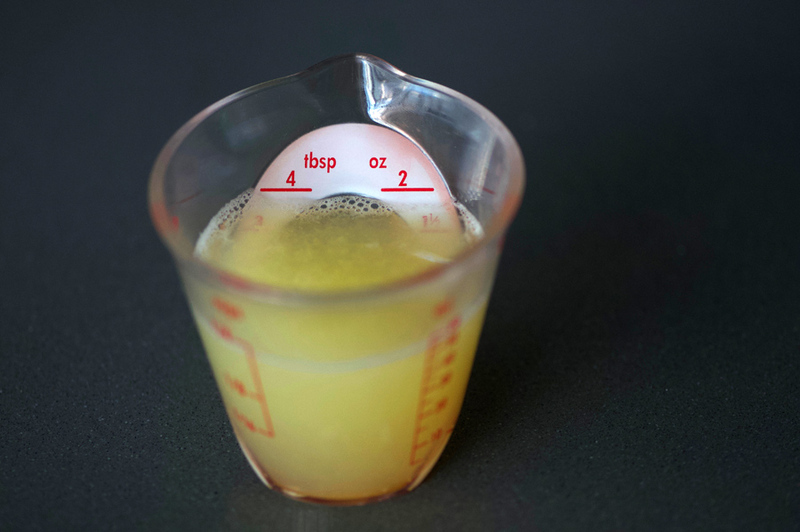 Even with all the lemon juice, this drink doesn’t need any additional sugars or syrups, keeping the taste clean and vibrant. After adding an egg white and shaking it all up for 20 seconds or so, add some ice, and shake for another 20 seconds. Finally strain into two small glasses (or one larger one) to serve. 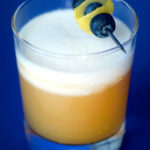 I like to thread a cocktail stick with blueberries and a strip of lemon zest, and pop a few extra lemon slices into the glass before serving. Nothing seems to grab people’s attention at a dinner party quite like pulling out the cocktail shaker, filling it with ice and giving it a good go—the sound and activity gets people interested and they’ll want to come near to see what you’re making. Even better, let your guests get into the action and have them do the shaking (especially if you need to make a few rounds, share the arm-workout love!) Try out this drink for your next gathering—you won’t regret it. 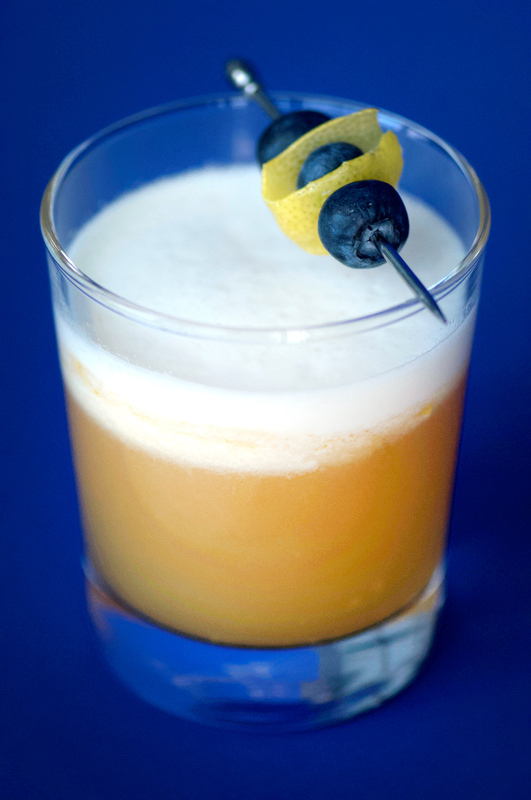 Recipe slightly modified from Serious Eats’ Ginger Amaretto Sour. 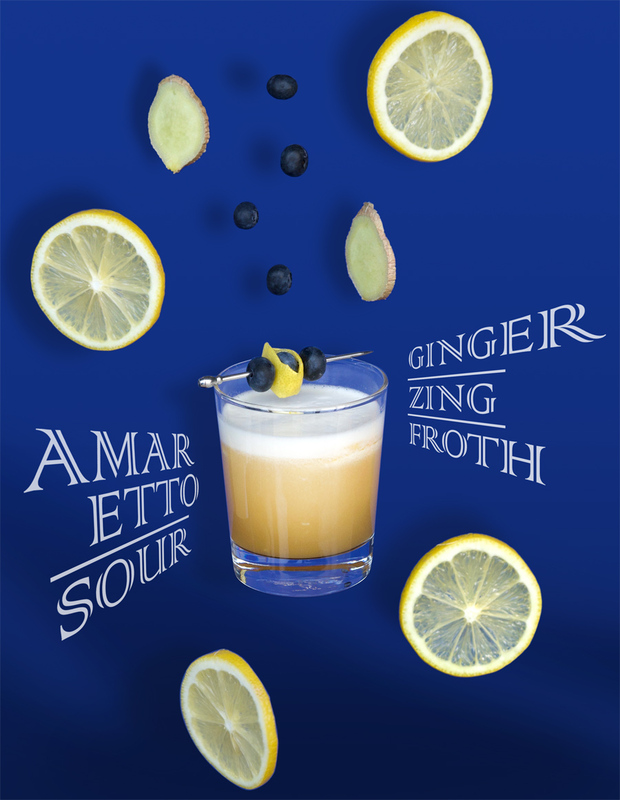 Ginger, froth, zing—this drink brings all the flavour and fun, while being light on the alcohol taste. 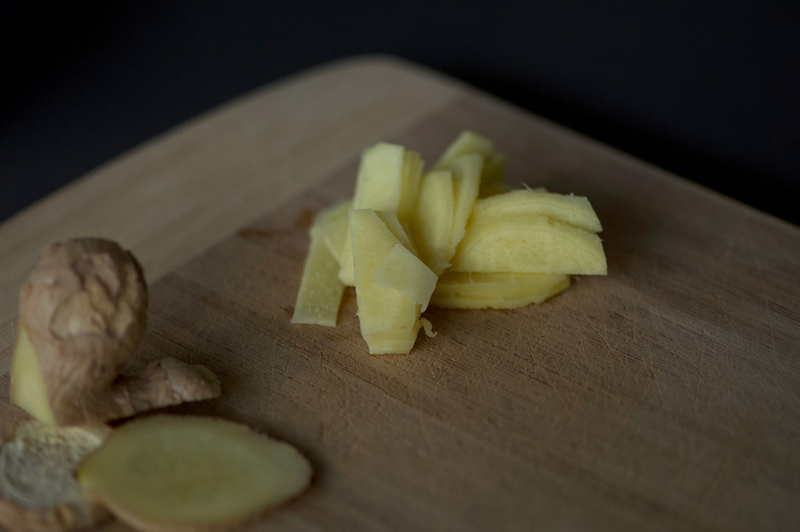 Muddle the chopped ginger with lemon juice in cocktail shaker. Add Amaretto, bitters, and egg white. Shake well for 20 seconds. Add a handful of ice and shake for another 20 seconds. Strain into 2 glasses, popping a few lemon slices in each glass. Thread two cocktail sticks with blueberries and lemon zest, and top each glass with one of them. Serve and enjoy! Fragrances of bourbon, oak and vanilla waft up to your nose. The drink glows amber, with a delicate dewy sheen from the chill of ice from the cocktail shaker. A sip reveals rich oak and smokey flavours, faint sweetness and a soft burn, but it’s so smooth you can’t believe you’re drinking Bourbon. Small-batch barrel aging is the game changer for this cocktail, and once you’ve had one you’ll never go back to a regular Manhattan again. Get started now and you can warm up those cold January nights at home with a special glass of your very own creation. While it is possible to find small barrels in specialty stores, I find they are easy to buy online, and much cheaper, too. I purchased one from Mexico and it arrived in less than a week to my door in Toronto. A quick trip to my local LCBO and I had everything I needed to make up a new batch. A new barrel takes a bit of prep, you want to shake out any excess chips that might be inside, then fill it up with water and position over a towel or baking sheet, to test for water-tightness. Sometimes a new barrel needs a bit of water to swell the wood to make it perfectly water-tight, though I’ve never had a new one leak. Once you’ve tested and are sure there are no leaks, you can empty the water (a good time to test the Spigot as well). Your barrel will likely come with directions on how to prepare it for use, so follow your manufacturers’ directions. Another item you’ll need is a funnel, as the top hole is not very large and would be quite hard to pour into without spilling. Insert a funnel into the top hole, and pour in the Bourbon, Vermouth and bitters. Plug the top and that’s about it—now you just have to wait about 6–8 weeks, giving the barrel a 1/4 turn every week or so. I like to test the batch at around six weeks and depending on the flavour, I’ll either continue aging, or bottle the mix and start up a new batch. A new barrel gives off the most flavour, so as you continue using it, you’ll find you need to keep the mix in the barrel for longer to achieve the same depth of flavour, until it is too weak. Then it’s time to get a new barrel (I find they easily last a couple of years). There is something special about barrel aging your own cocktail. It’s fun to take notes each time you fill a new barrel, making subtle changes each time, until you perfect the drink exactly to your liking. 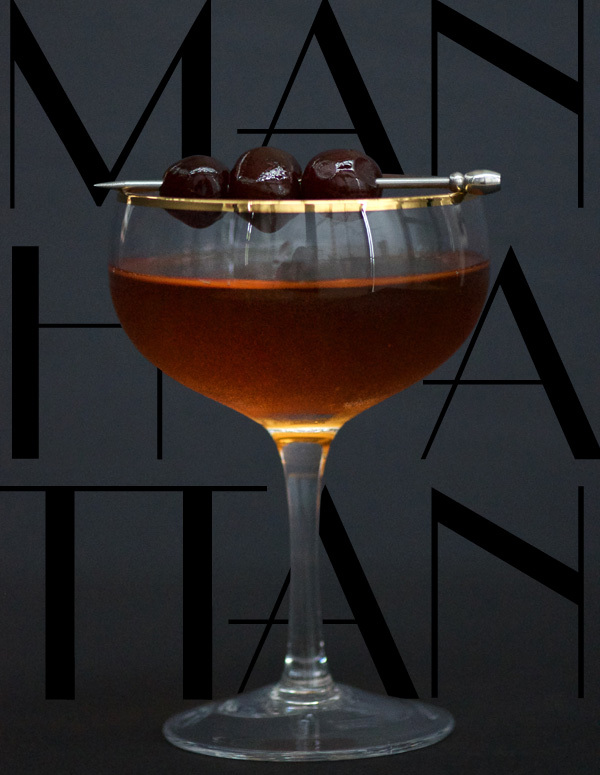 For me, the Manhattan isn’t complete until it’s topped with bourbon soaked cherries (a world apart from Maraschino!) Your own personally crafted and aged Manhattans are a wonderful treat to share with friends, too. 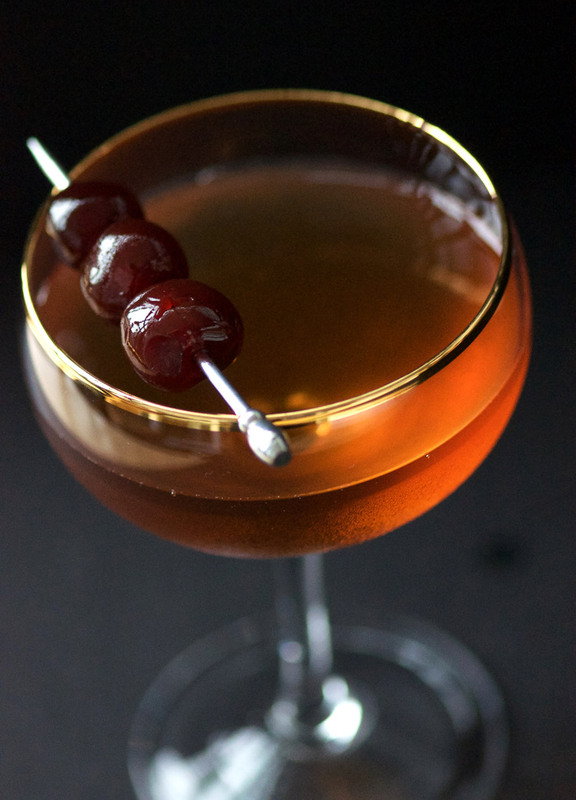 The smoothest, oaky-with-hints-of-vanilla-and-butterscotch Manhattan you can possibly imagine. There are great sources to buy your own barrels online, this recipe uses a 2 litre barrel. If using a new barrel, prepare it according to the manufacturer's direction. Generally you need to soak it in water for a few hours to ensure a good seal. Drain the water and the barrel is ready for action! Ensure barrel spout is closed. Place funnel into top hole of barrel. Add the Bourbon, Vermouth and bitters. Place the cork into the top of the barrel to seal. Allow 6–8 weeks for aging, giving the barrel a 1/4 turn each week. 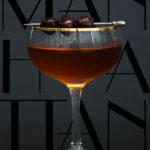 Test a Manhattan: remove the cork from the top to allow the liquid to flow; get a cocktail shaker ready and fill straight from the barrel. Add ice, shake, and pour into cocktail glass. Test sample for depth of flavour and aroma. If desired, continue to age to bring out more oak flavour. If you are happy with the taste, pour into bottles. 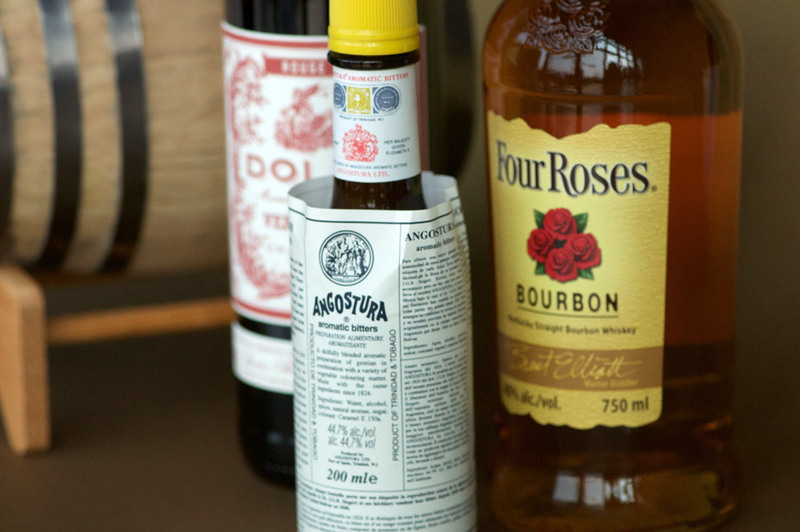 The barrel can now be used to make another batch—perhaps next time you'd like to adjust the bitters to suit your taste, or switch up the brands of Bourbon or Vermouth. 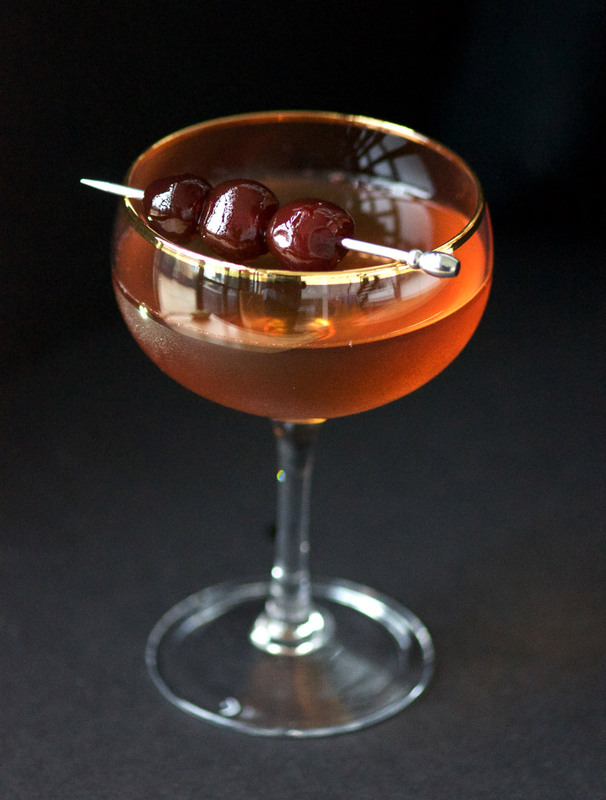 Bourbon soaked cherries add the perfect finishing touch when you serve up a glass. Enjoy!